I purchased hosting and uploaded an Under Construction page with a link to the Magic Chef justeat.ie page. 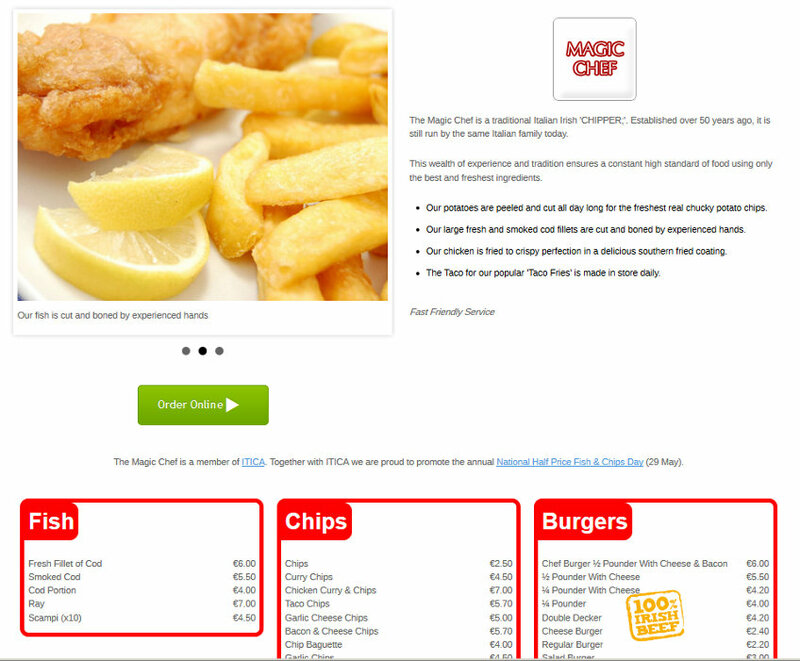 I planned to put the site on a single page, with the takeaway information followed by the menu. I created the page with Blueprint CSS that I have used before. I used Flexslider for the image slider. When I noticed that the Blueprint CSS was not responsive I converted the site to use HTML KickStart, a responsive framework. It includes a responsive slider. The included styling for html elements meant that I didn’t have to add many of my own styles. Unfortunately the takeaway went out of business before the project finished.